The Big Brother Insider: Brenchel Returns....To TV ! Everyone please give a warm welcome back to your TV's, Brendon Villegas and Rachel Reilly. 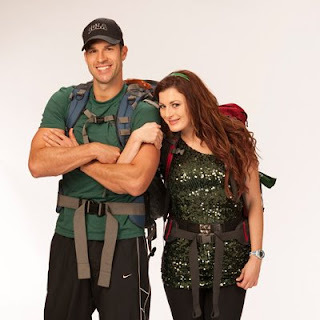 That is right 'Brenchel' is returning to Television, this time on the CBS Show The "Amazing Race" Season 20. You can watch their Journey every Sunday starting on Sunday, February 19th at 8/7c, when the new season premieres! I don't know about you guys but I am Team Brechel for Winning this year, I don't think they deserve the money but it will be fun to watch them. Let me know what you think on our Twitter and Facebook Pages.